I loved amari before I even knew what it was. I lived in an old-time New York-Italian neighborhood for ages and sometimes found myself ordering digestifs from dessert menus. It’s what you did. In fact, the tradition of taking amaro after dinner goes back centuries, to a time when people got their medicine straight from the garden, from botanists or the apothecary, usually as a tincture or tea. Most amari taste medicinal and tend to embody the essence of bittersweet. Known to treat everything from stomachaches to cholera, they’re made by infusing brandy or other spirits with herbs, leaves, flowers, roots, bark, fruit peels, and spices. Once the sugar’s added, the infusion’s aged for weeks, even years. Recipes for classic Italian amari vary from region to region, or even town to town, often based on whatever’s locally available. “Amari is ultimately a botanical infusion,” said Jennie Ripps, founder of the New York-based Owl’s Brew (a tea mixer for cocktails) and Brew Lab, which works with restaurants to develop customized tea menus. It’s not surprising, perhaps, that she and other tea companies are making post-dinner teas or herbals that call up Fernet-Branca, or aperitifs like the near 150-year-old French Lillet to whet the appetite before a meal. Ms. Ripps, who makes tea and herbal versions of nostalgic sodas, from a green tea and cherry riff on Dr. Pepper to a chamomile-pineapple take on Mountain Dew, was inspired to create non-alcoholic renditions of Fernet and Campari using an infusion of herbals and diluted simple syrup. She dug up a bunch of old recipes and wanted to capture the most essential flavors of well-known fernets and Campari (which she made with hibiscus, lemon, and orange peels); her fernet includes mint, gentian, rose petal, almonds, lemon peel, caramel and a host of other ingredients. A few New York restaurants have caught on: you can order her fernet and Campari at Quality Italian, alongside more than half a dozen traditional amari to complement panna cotta, chestnut roulade and cannoli. The Milwaukee-based Rishi, which sources high-quality, sustainable ingredients from around the world for its teas and herbals, recently offered customers aperitivo and digestivo blends via their monthly Herb Lab series. “We often test out dozens of recipes for each of the blends in our series,” said Rishi’s Jeffrey Champeau. “Herbal apertifis and digestifs seemed like a nice option for winter—they’re a natural counterbalance to food and that feeling of post-holiday indulgence,” he added. (I was grateful to have snapped them up early on, since both blends sold out, and won’t be made again; Rishi creates new recipes every month for the series and rarely brings back favorites.) Their digestif herbal blend sparkles with citrus peels, cardamom and fennel as well as a unique saffron made from poppies grown in Afghanistan. It’s inspired by an Amaro Nonino he and his colleagues came across at Chicago’s Eataly, a light, floral grappa-based amaro with notes of citrus, saffron and sarsaparilla. I headed over to Eataly in New York to try it out myself, and was able to get a flight of amari, including the amazingly dry, honey-sweetened knock-your-socks-off Varnelli Dell’Erborista, which the sommelier suggested with blue cheese. 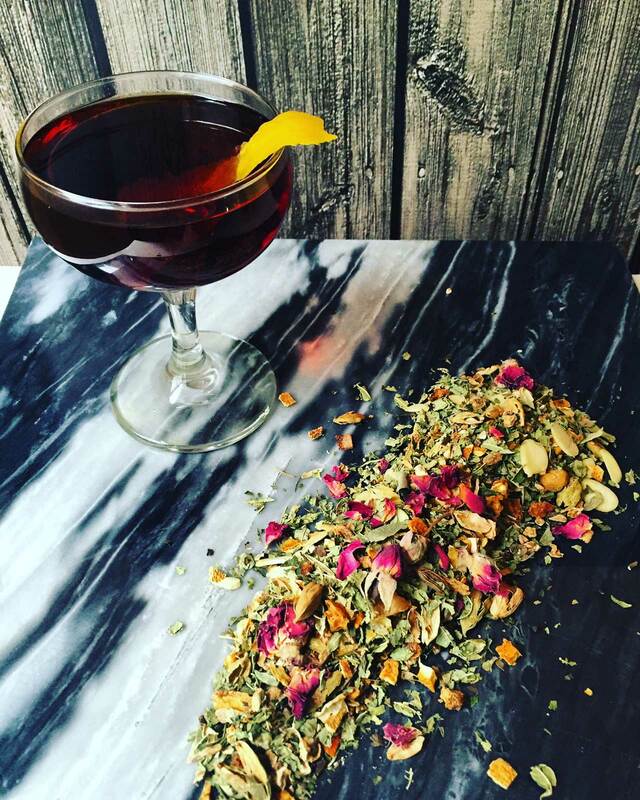 Tea and amaro can both act as bitters in cocktails, adding depth and complexity to a drink. “It’s really about getting the right balance of flavors,” said Tyler Fry of Chicago’s famed Violet Hour, which offers a compelling list of noirish amaro-based cocktails, like the Savage Detectives, garnished with a mint sprig and a few drops of tobacco bitters made from rooibos. Mr. Fry recently collaborated with Nick Hruza of Newfangled Spirits on the Mad Hattin’, a twist on the Black Manhattan, using rye and Hruza’s soon-to-be released Earl Grey tea amaro (called In This Style 10/6), which marries brightness with deep, comforting chocolate-y notes. More domestic companies in the U.S. seem to be making amari these days with local ingredients, including tea. Amari recipes have historically been kept somewhat secret; tea’s likely to have appeared in several herbal liqueurs through the centuries, though it’s hard to pin down their provenance, said Fry. I stumbled upon a jazzy new amaro at my neighborhood bar, Brooklyn’s The Richardson, made with yaupon holly, a tea-like infusion favored by North American settlers in the 1700s. Modeled after classic Italian amari, Highwire Distilling’s Southern Amaro contains both Charleston black tea and yaupon, and happens to be one of the most popular amari at the Richardson right now, which offers other domestic amari on tap, like the elegant Fernet Francisco. Like tea, amari is an all-round sensory experience, often emitting extraordinary fragrance. Smelling the many herbs, flowers and roots is part of the pleasure of sipping it. Champeau points out that aperitifs are traditionally offered to awaken the palate before a meal via both smell and taste. 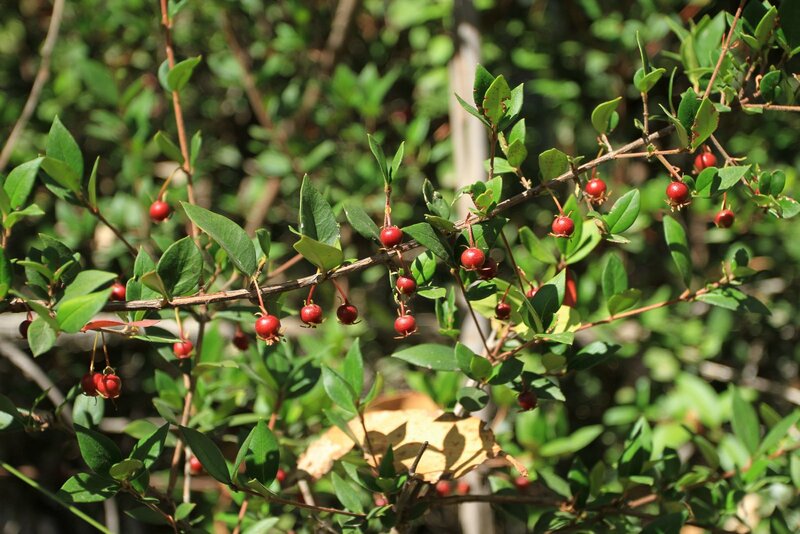 (Rishi’s aperitif blend includes a Chilean murta berry frequently used in jam and liqueur as well as schizandra, otherwise known as the Chinese five-taste berry, which adds tartness and a little bite to the brew. For tea purists, light and floral high mountain oolongs or whites like silver needle can be excellent aperitifs, suggested Champeau, while more heavily oxidized oolongs or puerh may stand in as non-alcoholic digestifs. Think of tea and amari as part of the dining experience from start to finish, and most of all, enjoy. Buon appetito!